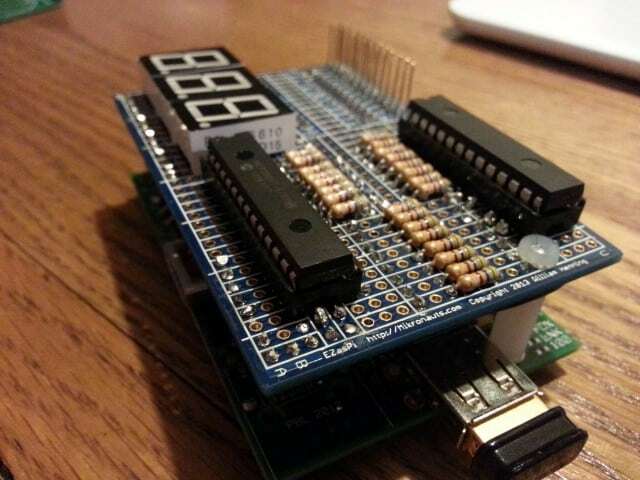 In Part 1 I showed you how to make a prototype of my Raspberry P 7-segment display temperature monitor board – if you missed that, head back to that post and take a look – it includes a detailed tutorial video on how to put it all together. In this part, I’ll show you the add-on board that I created using the exact same circuit and parts, all on a Pi-sized EZasPi board from Mikronauts. It fits directly on top of my Raspberry Pi and allows me to keep an eye on the temperature without having to SSH or similar. 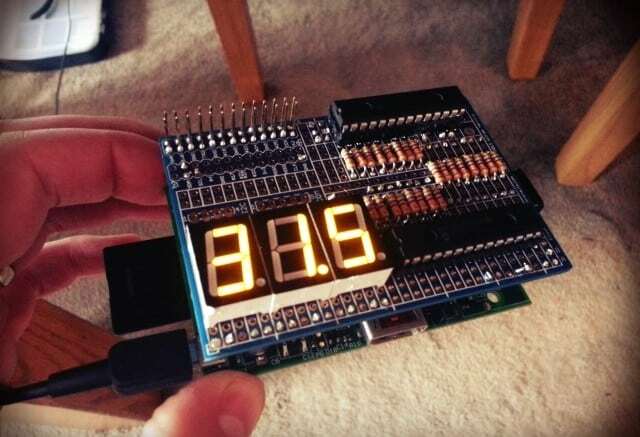 My temperatures seem to be fine 99.9% of the time – but what a great bit of geek-chic hardware for the home either way! 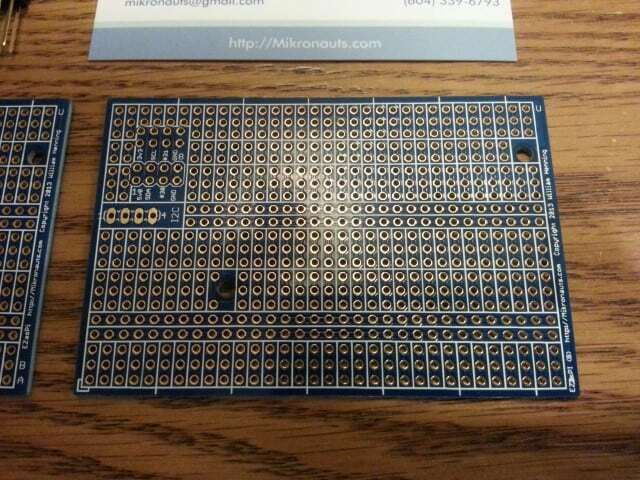 This project is built on an EZasPi board from Mikronauts. 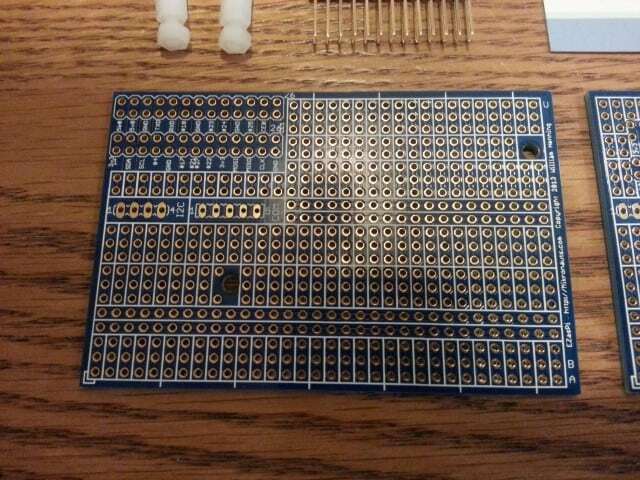 I chose the EZasPi PCB as the base as it has a huge prototyping area made up mostly of ‘lanes’ of connections. These lanes are ideal for connecting ICs and other parts with legs. 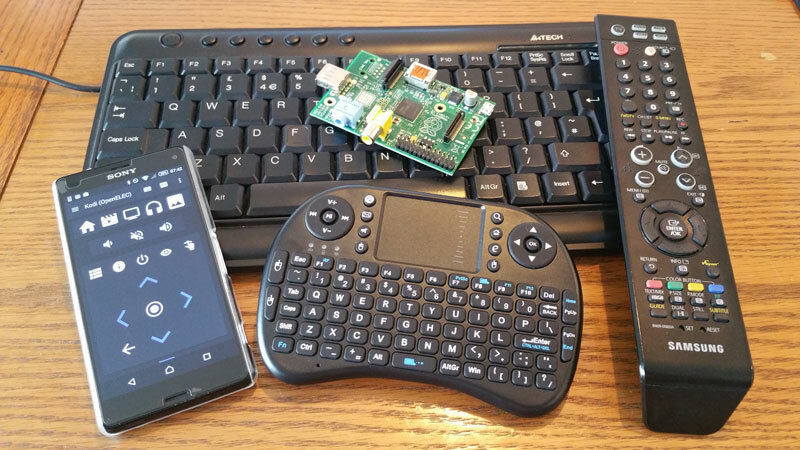 The boards sandwich the Raspberry Pi with potential! I’m not using the lower board in this project, but i’m going to work out a project that can use this unique setup. If you have any suggestions, comment below or send me a tweet. 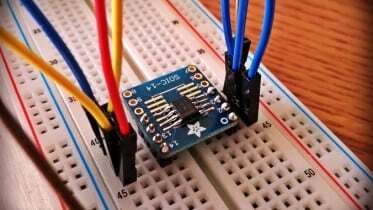 It would have been quite difficult to write a step by step guide, mostly due to the number of connections to solder and the steps involved – so i’ll just run you through some of my though process for successfully creating a board like this. 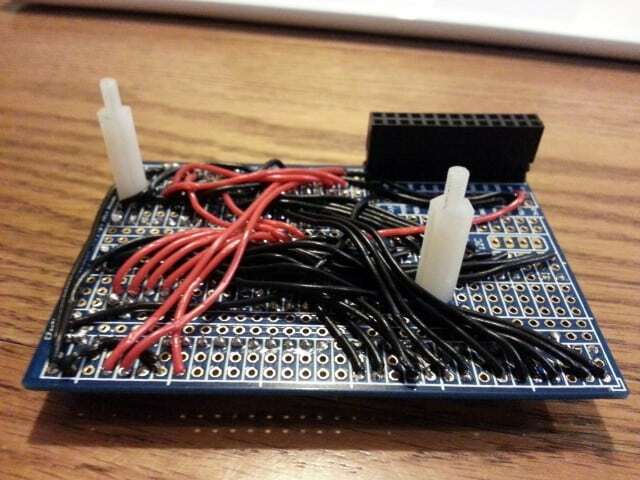 Remember, all I’ve done here is transferred my breadboard prototype to a more permanent design – all it takes is a good bit of planning, a lot of patience and a few burnt fingers! Whilst some of this design was made up as I went along, one thing I had to get right was the layout. I needed to make sure everything had enough space to be connected to the board and other components, including breakout lanes for power and ground lines. I spent a bit of time trying the 7-segment displays and IC chips in different positions, trying to figure out the option that would require minimal soldering/wires whilst keeping things symmetrical. As this circuit is exactly the same as my prototype in part 1, the code is exactly the same as well. Head over to Part 1 for some example code you can use with your prototype. 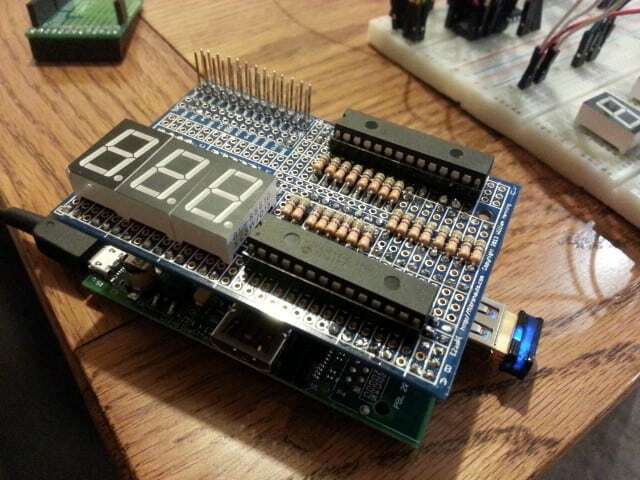 So that’s my Raspberry Pi 7-segment display temperature monitor board. If you have any questions or need some help with your prototype, just leave a comment here or find me on Twitter. 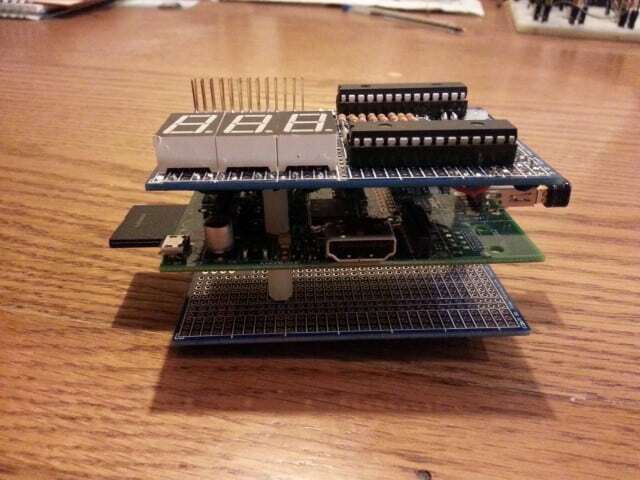 Be the first to comment on "Raspberry Pi 7-Segment Display Temperature Monitor – Part 2"